Pull down menu to see tag list. Tag as option alongside document and bookmarks. A blue line appears over the New Doc and New Folder buttons. When you touch this line, the tag list then appears. The latest version looks fine on my Android device. You said you’re on the latest version, can you confirm that’s 1.1.6? Yes, but this is on an Android tablet rather than smartphone. Still don’t see the tag list on android including the web version. Tag pane is a Pro feature. You can complete the full onboarding tutorial to claim 14 days of free Pro to test it out if you wanted. The OP was reporting it as a bug as a Pro user. Sorry for the confusion. Ok, got it. Thanks for the clarification, Erica! I will gladly test the pro version. Hmm, where exactly is this tutorial I need to complete? FAQ says it should be in the main menu on the right, but I don’t see it there. If you don’t see it in your freshly-installed desktop app, trying restart the app. 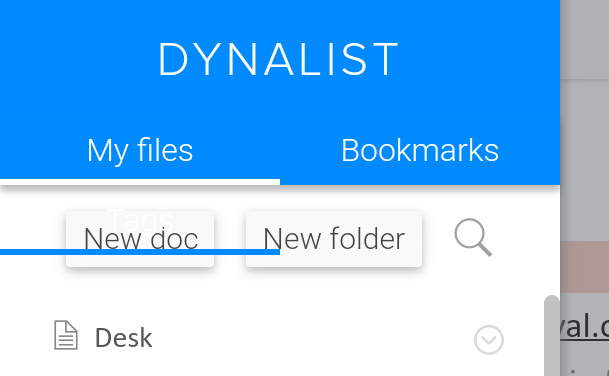 I am on mobile and intend to use dynalist primarily on my phone and tablet. 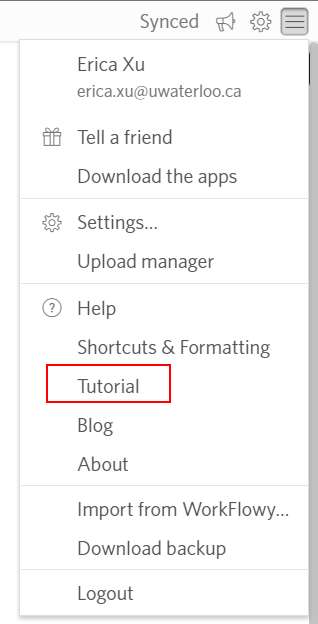 İs there a way to complete the tutorial/test the premium without desktop? I just added 14 days of free Pro. With internet connection, restarting your mobile app should make the tag pane show up now. That’s very kind of you, thanks! Tags tab did appear indeed and it’s super handy. One immidiate question is how do I make a document my Inbox destination on mobile? I thought it is a premium feature but there is still no such option in the item menu. You need to set the inbox location once on the web app, sorry about. The setup is only required once though. Capturing to inbox is a premium feature, while setting the inbox location is not. You can still use things like our new Chrome clipper extension to send things to your inbox. Yeah, would appreciate it if you could PM me or email support@dynalist.io instead, so that the OP doesn’t receive irrelevant notifications.